Someone help. I eat like a hipster. | The House of Martins The House of Martins: Someone help. I eat like a hipster. Someone help. I eat like a hipster. If you were to call me a hipster, I would laugh. I live in Sacramento, work a normal job, shop at target and OH - I'm a mom and I'm pregnant. There is nothing hipster about any of that. Trust me. But according to Huffington Post, I sure do eat like one. The Huff did a list of the 22 foods that hipsters need to calm down about... and minus the Kombucha, PBR and the Kimchi I love all of them. I kind of feel like the healthy ones (Brussels sprouts, cauliflower and kale) should be left off the list. I mean, with the amount of junk people eat -- I'd say encourage any healthy option you can get them to be obsessed with. That's it. 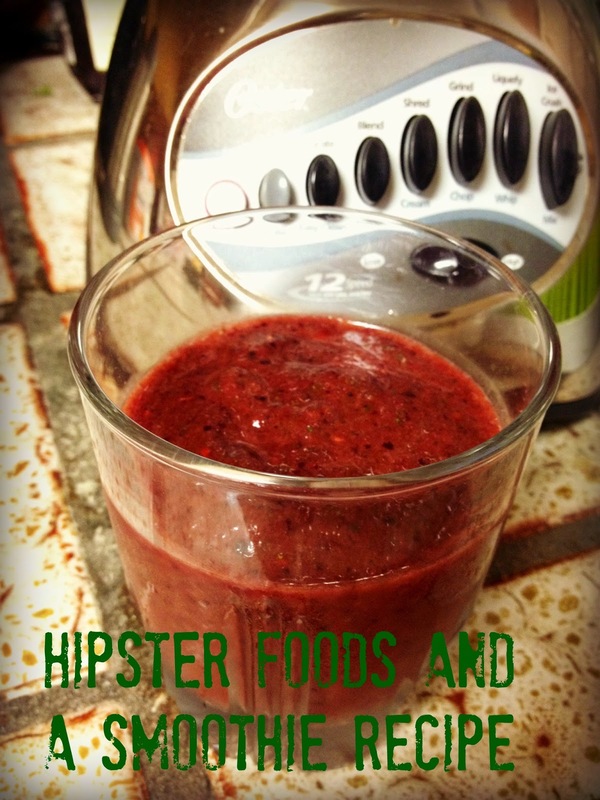 Its delish - and I guess if you want to eat like a hipster, it covers a few bases. And also I am reminded that I actually have a Brussels sprouts recipe I am looking forward to trying (It was in an episode of the TV show my work produces "California Bountiful") - Brussels sprouts with citrus and pomegranates. Any other readers eat like a "hipster" - my guess is a fair amount of you do - which almost makes all of those items mainstream... and anything but hip. This post is also shared as part of the "Link it up - Epic Friday!"